Prior to 1957, hot weather was very common in the Midwestern US – but over the past 62 years the likelihood of hot weather has plummeted. In 1936, the Midwest had 86 days with at least one station reporting 100F. In 1934 they had 78 days over 100F. 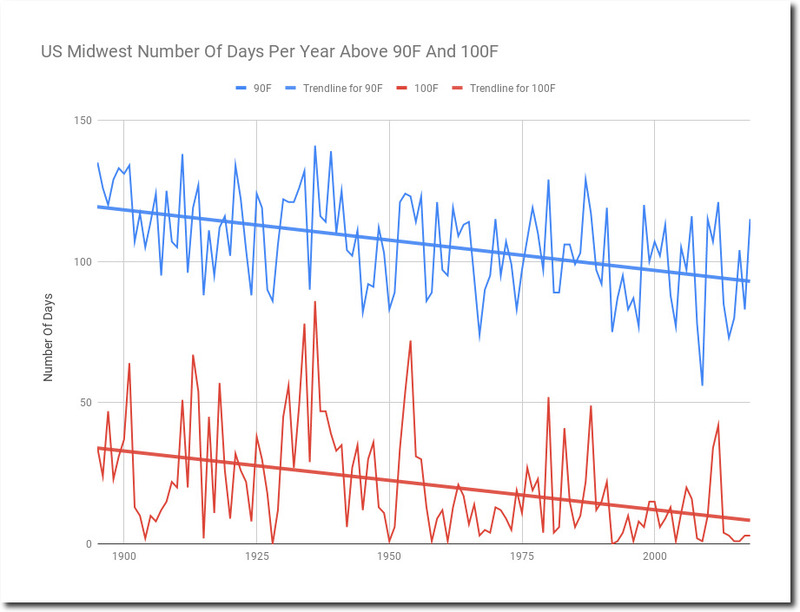 By contrast, recent years have had almost no days over 100F. And 90 degree days show the same declining trend. This is of course the exact opposite of what professional climate fraudsters report. True. By definition, genuine science always conspires against myth. Decade by decade comparison shows same thing. Much hotter nearly a century ago than present day. The Michael Crichton quote is timeless, as are his other insights. Evolution-the “theory” that the hypothetical first cell could ever evolve to us-is another case where those who accept it unconditionally *WILL* not think for themselves and see that it is a load of bs. It does not even come close to what science requires in terms of the standards of a natural science and of biology (especially the changes needed for a whole organism’s anatomy and physiology). Either refutes it, and both together eliminate it from consideration. Although I already had some training in Geology, and Meteorology, it was his 2004 novel, ‘A State Of Fear’, that got me really digging into the ‘AGW’ scam. 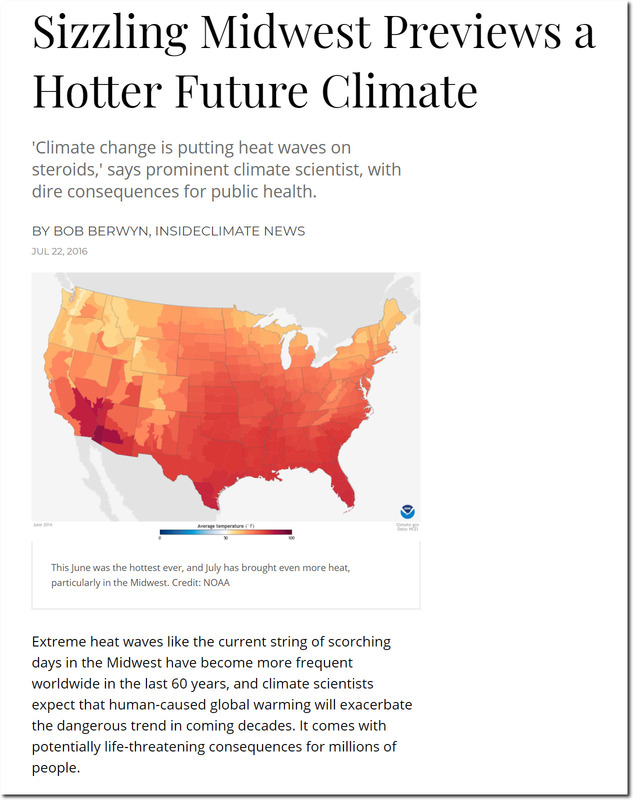 I became woke on climate science within a year of reading state of fear! I put together the Max temp average by decade to show how much warmer it was a few decades ago compared to now. The video “Corruption of the U.S. 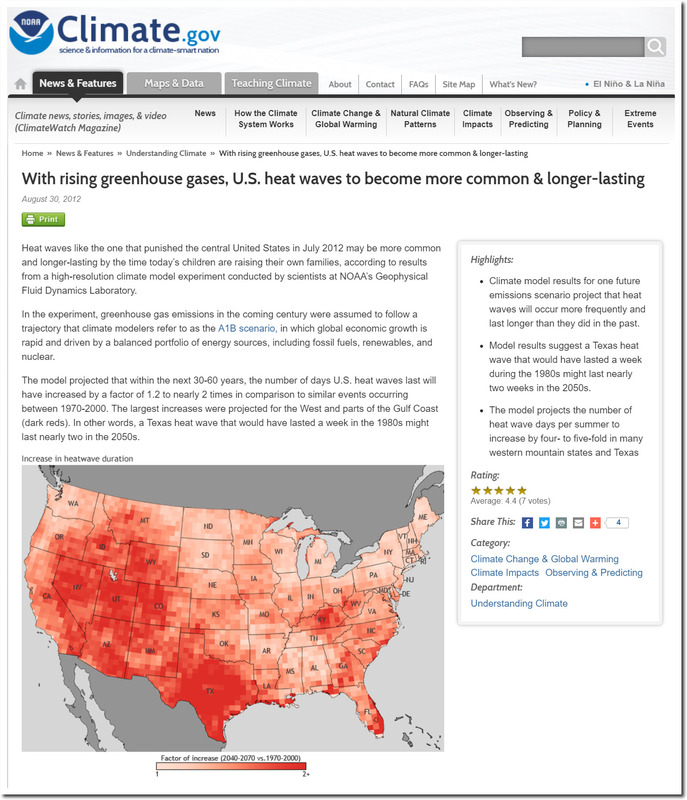 Temperature Record” makes a case that various adjustments have been made to original source data observations of temperature. It further infers that these changes were made to bolster claims of global warming. The author did not address the observable fact that North American glaciers are receding. I observed this myself while on an Alaskan cruise approximately ten years ago. I am left with the question: If the climate has been getting colder, why are the glaciers still receding? Perhaps I am being too simplistic, though if there is a clear answer that I missed, I would love to read it. Glaciers have been receding for 20,000 years. Ice melting in your glass tells you nothing about whether the room is cooling or warming. IOW glaciers are supposed to generally recede and sea levels rise during interglacial periods like the one we are in. Be thankful that you were lucky enough to live your life during such a period. The alternative would have you begging for climate change. David, you must realize that we are coming out of one of the coldest periods in the past 10,000 years (the LIA), and considering that we are in an interglacial, one would expect glaciers to be melting. If I take a block of ice from my freezer and place it in a 90F room, and then move it to 5oF room, does it still melt? You have to reject the images and narrative you have been fed, and start thinking for yourself. David should know that the Little Ice Age was a period spanning over 500 years when glaciers grew and humans suffered in many ways that started about 1,300 and ended about 1850.